With as busy as life gets, many of us don’t have a lot of time to dedicate to our hair. However, when I have done my hair, I feel SO much better about myself. It is worth taking the time to do my hair, but the time is always there. That is why I am excited to bring you the second hairstyle in my Quick and Simple Hair series! 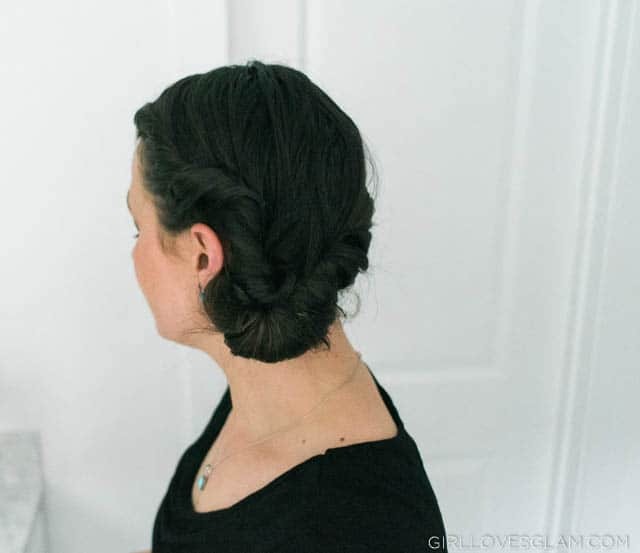 If you missed the Quick and Simple Hair series kickoff hairstyle, braided cross-over ponytail, definitely check it out as well! Today’s hairstyle is a simple twisted bun that is sleek and is easily my favorite hairstyle to do when my hair is wet. 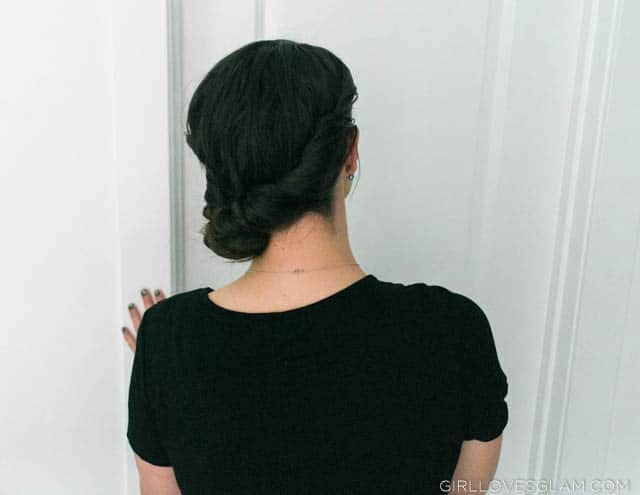 This twisted bun is also a favorite of mine to do when my hair is dirty, or just isn’t cooperating the way that I want it to. It looks regal, fresh, and fancy. 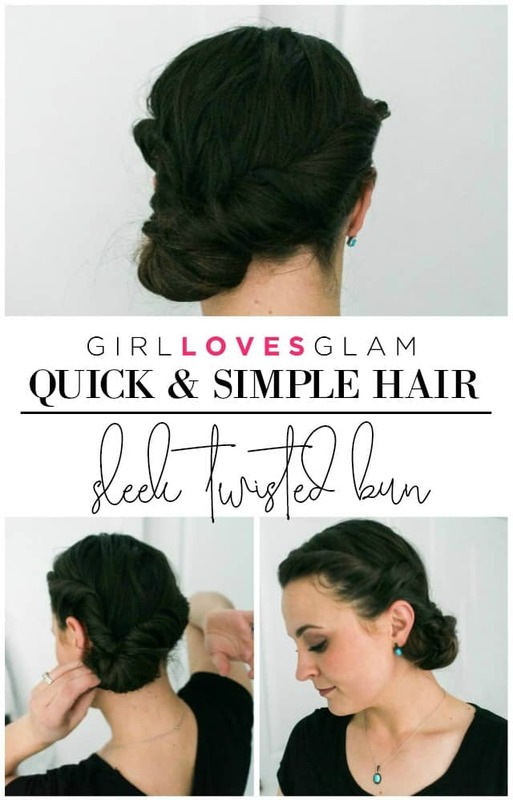 But here is the secret… this hairstyle takes less than 10 minutes to do! All you need in order to achieve this look is hairspray, bobby pins, and a hair elastic. Pretty simple! Start the hairstyle by taking the front section of your hair and twisting it away from your face. You will start on the side that you want your bun to end up on. If you don’t want the bun on the side, you can start twisting on either side. 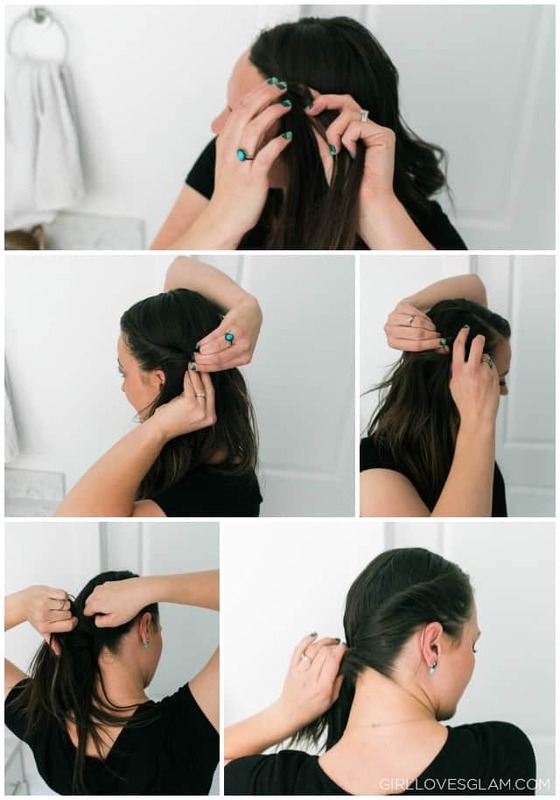 Slowly grab pieces from your hair as you twist to the next section of your hair. If the bun is going to be on one side of your hair, twist the hair until you get to your ear. If you are going to put the bun in the back of your head, twist the hair until you get to the back of your head. Once you have twisted all of your hair on one side, bobby pin it in place. You will start by bobby pinning the end of the twist and working your way up through the twist to make sure that it is all secure and is going to stay in place all day. Repeat the twisting on the opposite side of your head. 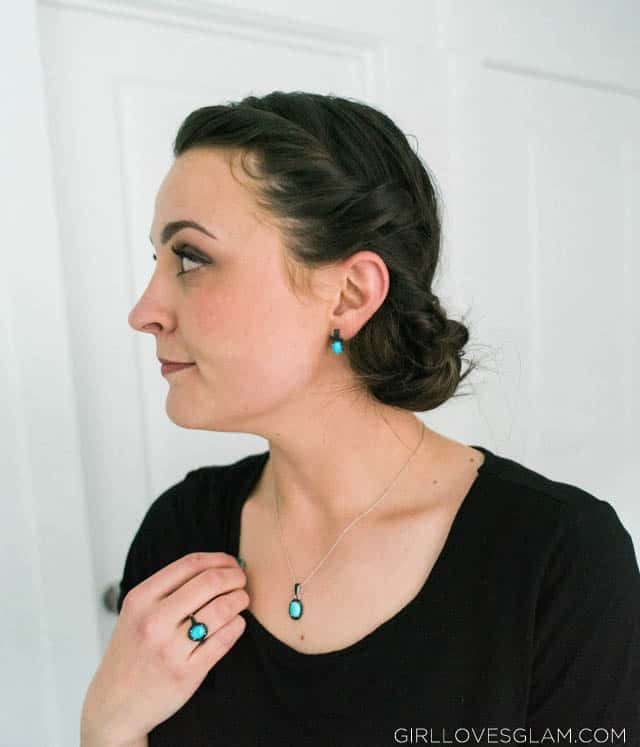 If you are putting the bun on the side of your head, you are going to twist all the way around your head and end next to the ear that you ended your last twist at. If you are placing the bun at the back, you will end the twist in the back of your head. 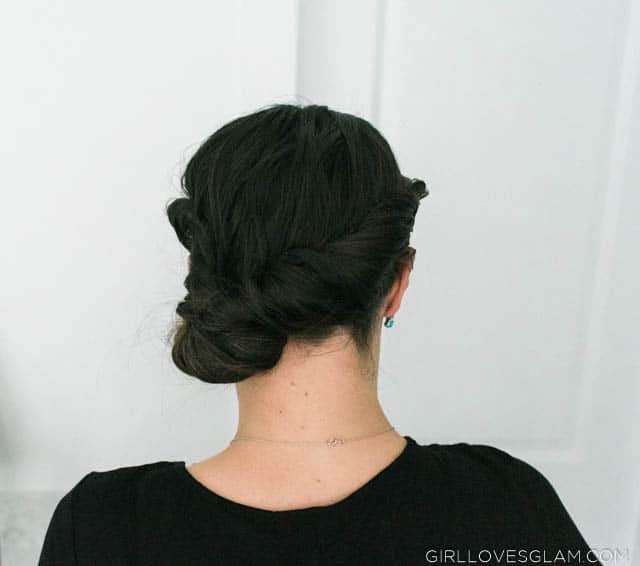 Secure the second twist with bobby pins so that it is nice and secure. Sometimes I like to use hairspray as I am bobby pinning the twists in place, just to make my hair even more secure. Next, you will take both twists and tie them together with a hair elastic. You will now create a ponytail flip by sticking your fingers through the middle of the base, right between the twists, and stuffing the ponytail through it. Pull the ponytail all the way out of the bottom and tighten it back up. 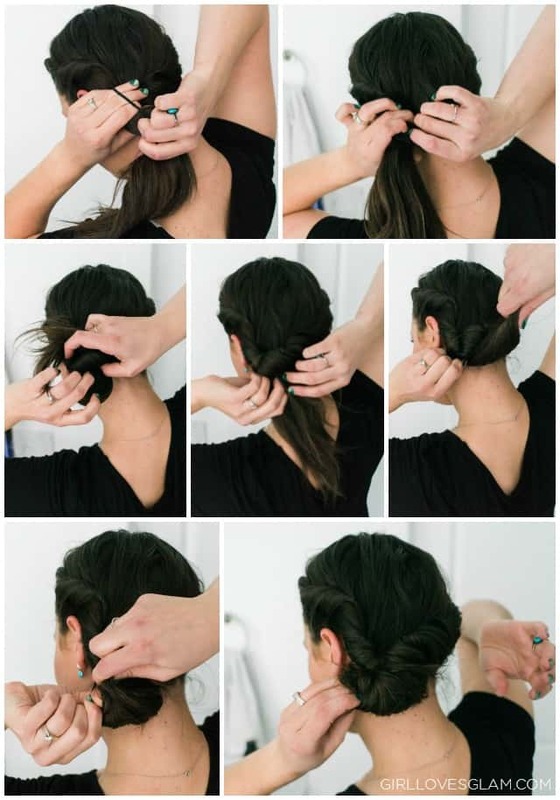 To create the bun, you will then take that ponytail and tuck the ends of it back through the elastic. Bobby pin any hairs that are going in places you don’t want them to go and use hairspray to hold it all together. Go over the entire hairstyle with a light spray of hairspray and make sure that you have secured everything in place. Now the hairstyle is complete and you can get on with your busy day! This is definitely a hairstyle that I sport on a very regular occasion. I just love that it looks done up, without having to do a lot to it. 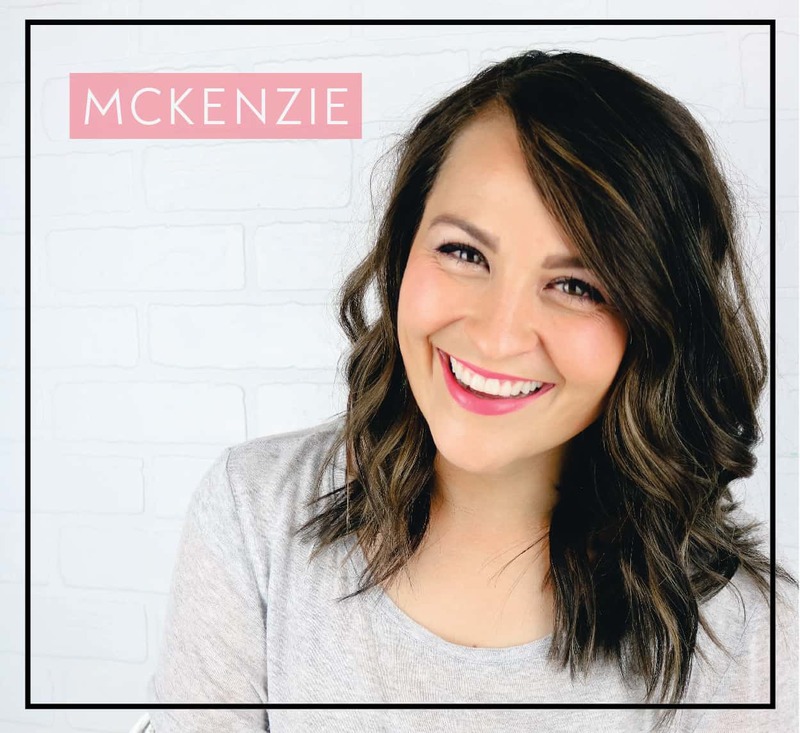 It works great with all hair types and is really simple to do! What hairstyles do you like to do when you are in a hurry? 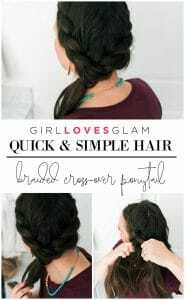 Don’t forget to check out the Braided Cross-Over Ponytail hairstyle that is part of the Quick and Simple Hair series as well!